Candice King first earned success in the Junior ranks in the equitation and jumper divisions on the West Coast. In 1989 she made her debut on the American Grand Prix Association (AGA) circuit. In the past two decades she has emerged as an accomplished International Grand Prix veteran, representing the U.S on numerous Nations Cup and Super League Teams. Among her many career highlights are several notable distinctions including being the top placed American rider at the 2001 World Cup Final in Gothenburg, Sweden (finishing fifth aboard John E.M) and becoming the first American in 30 years to win the Queen Elizabeth II Cup at Hickstead in England since Mary Chapot’s 1968 victory. Candice’s most recent accomplishments have been aboard Skara Glen’s Davos. During the summer of 2010, the pair traveled to Europe as members of the US team at the Meydan FEI Nations Cup events at the continent’s most prestigious venues. As part of the all-female team that represented the US at CSIO Rotterdam and CHIO Aachen, King helped in achieving a first and third placing respectively. Skara Glen's Davos' two fault-free rounds clinched the US victory in Rotterdam. 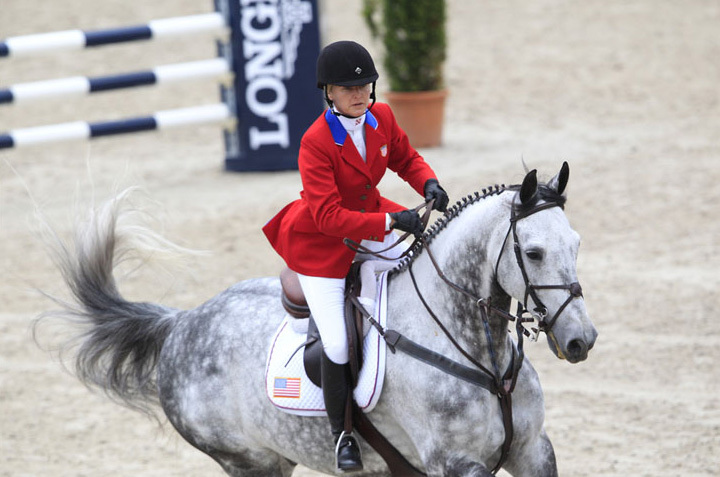 Candice & Davos’ stellar performance during the European tour earned them a spot on the long list for the 2010 World Equestrian Games. In Walking a Grand Prix Course from the Rider’s Perspective (part two of a three part series), Bernie and show jumping veteran, Candice King walk a challenging course during week three of the Winter Equestrian Festival in Florida. This topic focuses on the various track options a rider might consider depending on their mount over a course designed by Olaf Petersen.